The beautiful Java Sparrow is a vulnerable species, according to the International Union for Conservation of Nature’s Red List of Threatened Species. Once common over all of Bali, especially in the rice fields, Java Sparrows (Padda oryzivora) are now hard to find. We are concerned this finch species will come close to extinction before they are classified as endangered. To help ensure these birds are not wiped out we are establishing a backup wild population in our bird sanctuary on Bali’s Nusa Penida island. In future this population can be relocated to other parts of Bali. Java Sparrows are flock birds. They survive by living and flying in large numbers to support the occasional loss of the weak and the slow members, and so at least 100 birds are required to build a viable population. We released 100 Java sparrows into the wild on Nusa Penida in 2011, and the birds are doing well in their new home. The release was a partnership with Ubud resident John Duffield, who reared the birds in his aviary. The birds had been rescued from a market in Denpasar, Bali and looked after by John for almost a year, before being relocated to Nusa Penida for a further three months rehabilitation. The release, attended by a Indonesian Government officials, a Humane Society International (Australia) Director, local NGOs, village leaders, media and visitors from around the world, also marked of the fifth anniversary of the setting up of the Nusa Penida bird sanctuary. 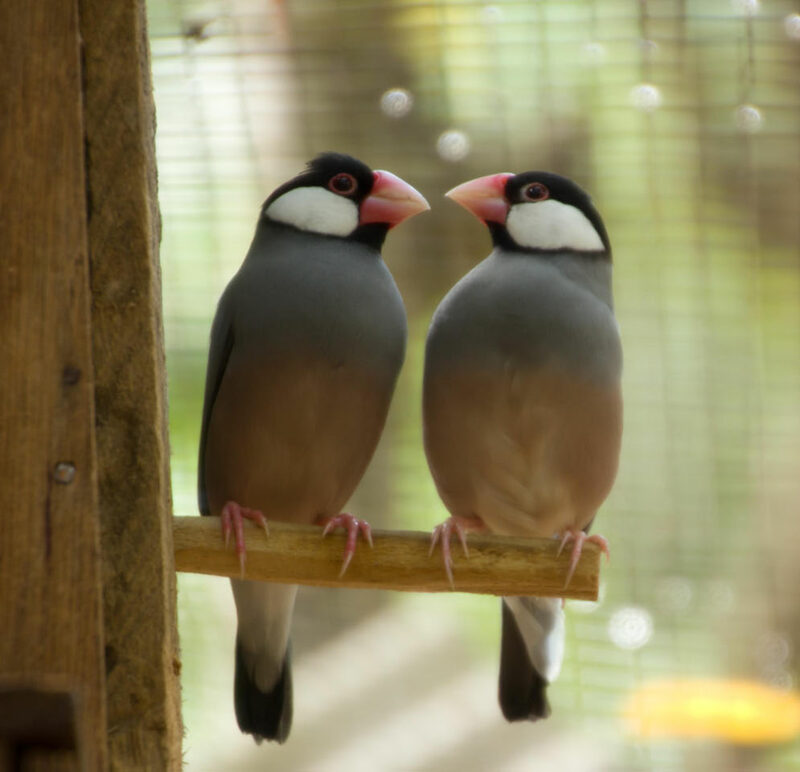 The IUCN says trapping of the Java sparrow for the domestic and international cage-bird trade, which has has probably been occurring for centuries, and is the main cause of the decline. As well as this, because the sparrow is a flock bird it is especially vulnerable to mass trapping.